Sarah Brightman (born 14 August 1960) is an English classical crossover soprano, actress, songwriter and dancer. She has sung in many languages, including English, Spanish, French, Latin, German, Italian, Russian, Mandarin Chinese, Japanese and Occitan. Brightman began her career as a member of the dance troupe Hot Gossip and released several disco singles as a solo performer. In 1981, she made her West End musical theatre debut in Cats and met composer Andrew Lloyd Webber, whom she married. She went on to star in several Broadway musicals, including The Phantom of the Opera, where she originated the role of Christine Daaé. The Original London Cast Album of the musical was released in CD format in 1987 and sold over 40 million copies worldwide, making it the biggest-selling cast album of all time. After retiring from the stage and divorcing Lloyd Webber, Brightman resumed her music career with former Enigma producer Frank Peterson, this time as a classical crossover artist. She is often credited as the creator of this genre and remains among the most prominent performers, with worldwide sales of more than 30 million records and 2 million DVDs, establishing herself as the world's best-selling soprano of all time. Her duet with the Italian tenor Andrea Bocelli, "Time To Say Goodbye", topped charts all over Europe and became the highest and fastest selling single of all time in Germany, where it stayed at the top of the charts for fourteen consecutive weeks and sold over 3 million copies. Subsequently became an international success selling 12 million copies worldwide, making it one of the best-selling singles of all time. She has now collected over 180 gold and platinum sales awards in 38 different countries. In 2010 she was named by Billboard the 5th most influential and top-selling classical artist of the 2000s decade in the US. Brightman is the first artist to have been invited twice to perform at the Olympic Games, first at the 1992 Barcelona Olympic Games where she sang "Amigos Para Siempre" with the Spanish tenor Jose Carreras with an estimated global audience of a billion people, and sixteen years later in Beijing, this time with Chinese singer Liu Huan, performing the song "You and Me" to an estimated 4 billion people worldwide. 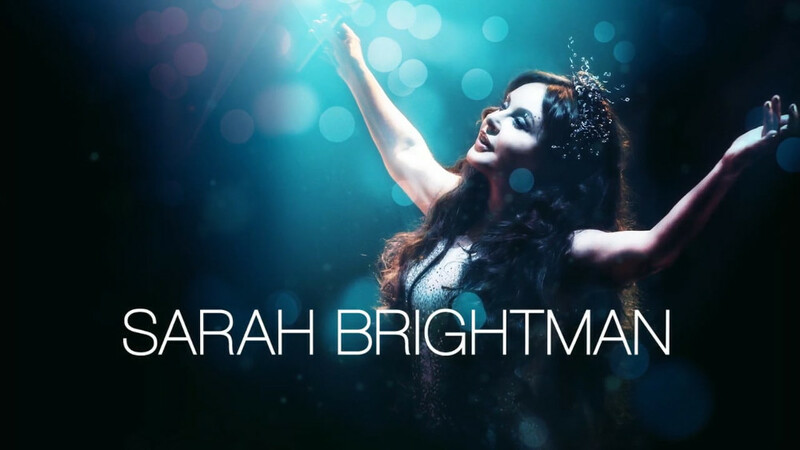 Since 2010, Brightman is Panasonic's global brand ambassador. Together they launched the song "Shall Be Done" at the 2010 Winter Games held in Vancouver, Canada. Brightman is the face of Panasonic's strategic partnership agreement with the UNESCO World Heritage Centre as she stars in their joint campaign, "The World Heritage Special," that was aired on the National Geographic Channel worldwide. In early 2012 Brightman was appointed as the UNESCO artist for peace for the period 2012–2014 for her “commitment to humanitarian and charitable causes, her contribution, throughout her artistic career, to the promotion of cultural dialogue and the exchanges among cultures, and her dedication to the ideals and aims of the Organization”. In 2012 In conjunction with Virgin Galactic, The Brightman STEM Scholarship program (science, technology, engineering, and mathematics) was launched. It will help young women in the US pursue STEM education across their four year college careers. Apart from music, Brightman has begun a film career, making her debut in Repo! The Genetic Opera (2008), a rock opera-musical film directed by Darren Lynn Bousman, and in autumn 2011 and early 2012 Stephen Evans' "First Night", starring opposite Richard E. Grant. In addition, she formed her own production company, Instinct Films, where her first film is in pre-production. Brightman is the world's richest female classical performer with a fortune of £30m (about US$49m). The moust beautiful voice in the buisness!